The FirstStar Lamp is the heart of our popular FirstStudio® lighting system. The revolutionary design of the FirstStar Lamp features a double-envelope bulb for care-free handling when cool. 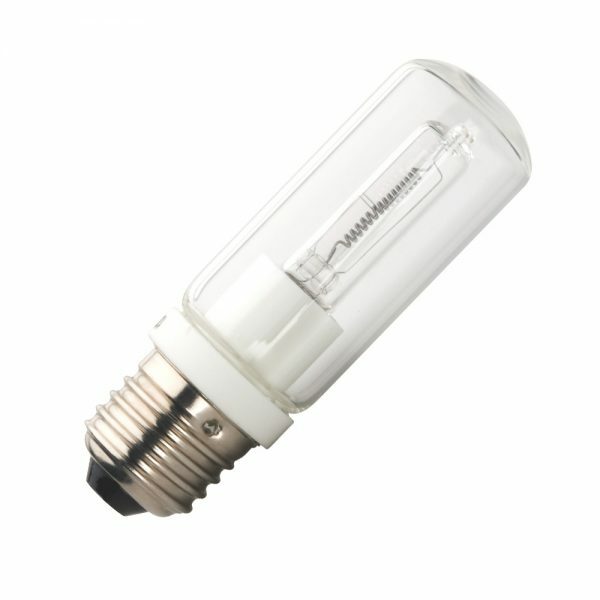 The inner halogen lamp is protected by a shatter resistant Pyrex® outer shell. The lamp can be handled with bare hands without the worries of traditional tungsten lamps where oil can cause explosions. The FirstStar Lamp fits the FirstStar light head featured in our FirstStudio® line of economical lighting systems.